The Hawaiian shores limited-edition collection is AVON's summer collection that features bronzy golds and peachy corals. Some pieces from the collection include the Glazewear lipgloss in Peach Fizz ($6) and Mirage ($6), Bronzing Petals Bronzer ($10), Nailwear Pro Nail Enamel in Venus ($6) and True Color Eye Shadow Duo ($7) in Hawaiian Glow. The Glazewear Lipglosses in Peach Fizz, a shimmery coral and Mirage, a sheer gloss with golden shimmer both seem perfect for summer. They make for nice layering glosses than on their own since they look super glossy and plump up lips quite a bit. The glosses feel quite sticky and also leave a few bits of shimmer behind which I'm not too fond of. They do wear quite well though. I get about 3 hours even after which they do not completely fade. They don't particularly moisturize well but, if you like them for the pretty colors they come in, they are worth a shot. The True Color Eye Shadow Duo in Hawaiian Glow was surprisingly my favourite item from the whole collection. For the price, it does have quite nice pigment and goes on with a smooth, satin finish. There is quite a bit of fall out but, they blend so well and stay put for 6-7 hours with a primer underneath them. Quite nice for the price and the colors look very pretty as well. 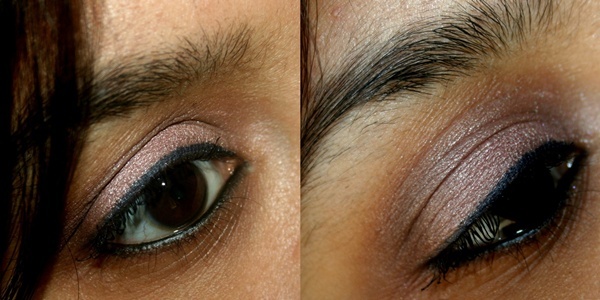 The Bronzing Petals bronzer is looks lovely in the pan but sadly, it goes on a little too shimmery for my liking. It works quite well as a highlighter but, as a bronzer, it leaves behind a lot of shimmer which in turn enlarges pores quite a bit. 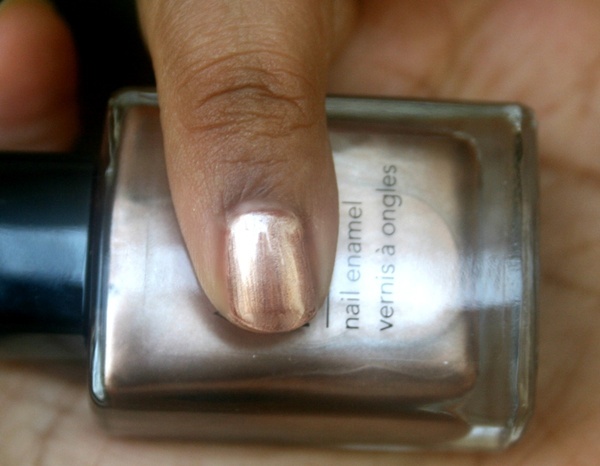 Nailwear Pro Nail Enamel in Venus is a gorgeous shade of metallic bronze. The color is something I would reach out to a lot. The formula was a little on the thicker side, took forever to dry and also left quite a few brush strokes. I've tried AVON's nail polishes before and this one was a little more thicker than the usual polishes from the Nailwear Pro range. The color is beautiful so, with a couple of thin coats and a lot of patience I guess this would make for a great summer shade! What are your thoughts on the AVON Hawaiian Shores Summer 2012 Collection? The nail polish is a really nice color! I like it! I'm kind of impressed with Avon lately!